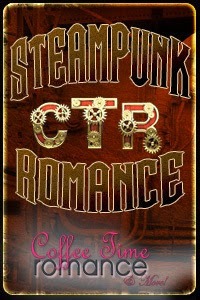 At the Coffee Time Romance Steampunk page, I'm blogging about Holiday Steampunk Romances! I invite you to check out my non-spoiler tags for Carina Press' A CLOCKWORK CHRISTMAS anthology as well as information about Tina Christopher's new, sizzling steampunk romance DIRIGIBLES ARE FOREVER (great title, yes?! ).